Guard dogs were viciously barking behind them when, on a moonless night, three undernourished and exhausted teenagers climbed frantically over a wall, ran out of Tamshol Village and all the way to Kharila Mountain. The three Tibetan serfs were looking for the "Jia Gongchan," which was how they referred to the Communist Party of China in Tibetan. "I can run no more. 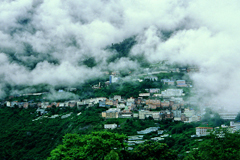 Let's take a rest here," said young Tenzin Chosphel when he was just halfway up the mountain. Sweat dripping down their faces, the exhausted teenage Tibetans sat on the ground in despair, waiting for morning to arrive to continue their search. "Where on earth is the Jia Gongchan?" asked Samten, a young monk who had escaped along with Tenzin. 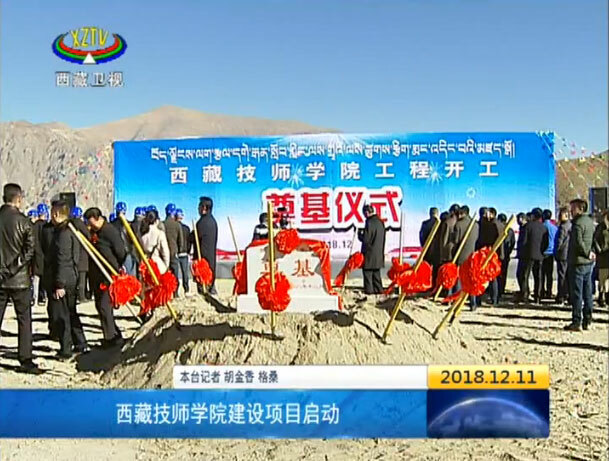 "I heard that they are just around the Drigu Tso Lake," said Tenzin, breathing out in the air so cold that water vapor came out of his mouth. As the sun rose, they saw shadows moving in the village in the distance. They stood up at once. "Let's go!" But their escape attempt resulted in them being caught by their owner and brutally beaten. Although it was six decades ago, that night is burned into Tenzin's memory. 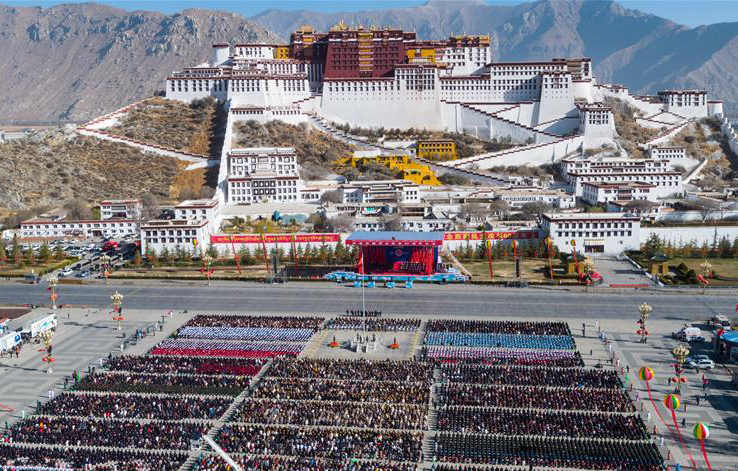 It happened before the Chinese central government began its landmark democratic reform in Tibet Autonomous Region, which ended the feudal and theocratic serfdom system. Tenzin is the eldest son of Lhawang and Changpa Chozom, and at that time, the whole family were serfs of the brutal and oppressive Khamchu Manor in Tamshol Village, Tsomed County. Under the rule of the Kashag, the cabinet of old Tibet, serfs had to stay on the land within the manors of their owners. They were not allowed to leave without permission. Fleeing the manor was forbidden, and any attempt to do so would result in severe punishment. But Tenzin was determined to escape. Today, Tenzin, 75, sits in his warm house, and, while bathing in the sun, recalls his journey to a new, free life. He remembers every mountain he climbed and every word he said on his mission to find the Communist Party of China. Tenzin's family, along with a million Tibetan serfs, were emancipated after the democratic reform in Tibet in 1959, which was led by the Communist Party of China. Since then, they have stood up for themselves and become their own masters. Sixty years on, the family of the liberated serfs has expanded to four generations of more than 70 people, with each person leading a prosperous life. Ahead of Serfs' Emancipation Day, which falls on Thursday, Tenzin and his family looked back on the extraordinary history they have witnessed in Tibet. 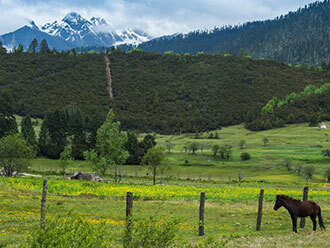 In old Tibet, governmental officials, aristocrats and senior lamas, who represented only 5 percent of the total population, had a monopoly on almost all cultivated land, pastures, mountains, rivers and livestock. The other 95 percent, comprised of serfs and slaves, had no personal possessions nor personal freedom, let alone human rights. "Our owner Tashi Qoipei was cruel to us," said Tenzin. "My parents could only get a small spoon of tsampa --Traditional Tibetan food made out of roasted barley flour -- before and after a day's work. There was never enough food for them." "Serf children were even poorer. Those under age 13 would get nothing, even if they worked," he said, recalling how his parents would mix the small amount of tsampa they earned with water and share it with him and his siblings. The family lived in a windowless mud dwelling beside serf owner Tashi's flock enclosure. The whole family slept in a room that was less than three square meters in size. They had no bed to sleep on and only had a worn woolen mattress, keeping warm with a measly linen sack that was used to hold flock waste. Tenzin said his parents loved summer the most because they could pick edible wild plants and stay warm. He also remembers one serf woman giving birth to five children, but none of them survived. Worse still, serfs were treated as private property, and owners would verbally abuse, punish, trade, whip, beat and even brutally kill them whenever they pleased. "When will a life like this end?" Tenzin kept asking himself quietly. "The Jia Gongchan is here!" 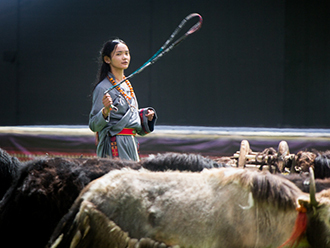 When this news spread to Tamshol Village, Tenzin decided to run away again to look for them. "I hear that the Communist Party can help us get proper meals and keep us warm," Tenzin told his father Lhawang. And Lhawang didn't try to stop him. "Just go ahead. Find anyone who can help us lead a life like humans," said Lhawang. So, after two or three failed attempts of escaping, the 13-year-old sneaked out of the manor with two other teenagers once again. The trio trekked persistently on winding paths and climbed over two mountains for days, before finally reaching the Drigu Tso Lake at dusk. They were so hungry and tired that they spent the night in a family's yard. But that was a huge mistake, Tenzin recalled. While they slept, the monks who served in the Mawoijok Temple in the Khamchu Manor had caught up with them, mercilessly capturing the three runaways in rage. "Samten was beaten hard. His cries could be heard across the pasture," said Tenzin. They were sent back to the Khamchu Manor and spent two years being tortured. Tenzin was feeling defeated, but in March 1959, a group of soldiers arrived and truly restored his hope. At that time, an armed rebellion was staged by the 14th Dalai Lama and a group of high-ranking Tibetan feudal serf owners who attempted to preserve the serfdom, and some rebels were looting in Tamshol Village. When Tenzin saw these soldiers defeat the rebels and protect the serfs in the village, he realized they were the people he was looking for. Tenzin volunteered to be their guide. After a day with the People's Liberation Army, he learned his first word in Chinese, "lu", which means way or road, and, for the first time, ate rice and fried dishes. He was also paid for his work. When he took the coins he earned back home, his mother Changpa burst into tears. "We had worked for the manor owners for generations, but we were never paid." 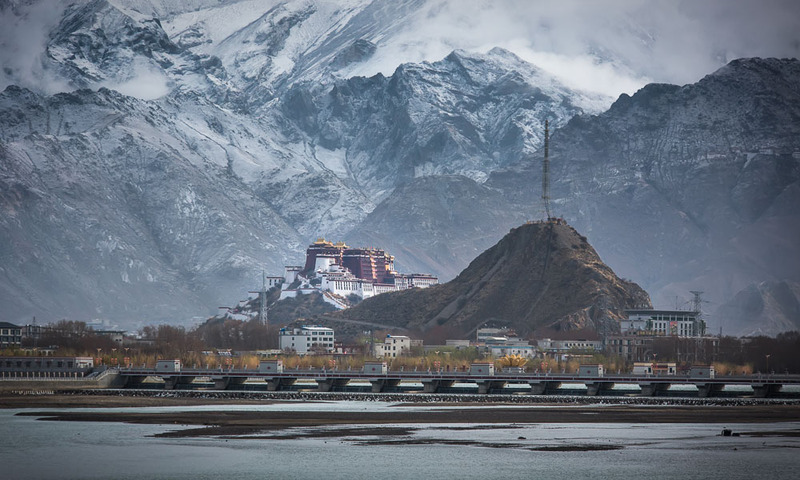 After the armed rebellion failed, the Chinese central government began its democratic reform in Tibet, which abolished this ruthless theocracy and serfdom and established a new social system that liberated the people and made them their own masters. Serfs of Tamshol Village then elected members to the Preparatory Committee for the Association of Farmers and Herders. Lhawang had gained enough votes to become a member of the association's committee, and Tenzin was elected head of security in the village. Every family in the village was allocated a piece of land, housing, food and livestock, and since then, all harvests have belonged to them. Tenzin's mother Changpa later gave birth to her eighth child, Padma Chozin. The couple carried the baby girl in their arms to their farmland, scooped up a handful of soil, and smelled it with joy. "This is our land!" They told their daughter, even though she was too young to understand. Hospitals and schools were soon set up in the village and Mother Changpa learned how to grow potatoes and carrots. Four years later, the family built a 110-square-meter house on what was their former owner's flock enclosure. Tenzin got married at the new house, and when he had his daughter, he built another house. After reform and opening-up started in 1978, the family contracted 1.46 hectares of farmland and grew barley with an annual yield of 2,800 kilograms. With the harvest, Tenzin and his siblings traded wool, fur and wood. In 1989, Tenzin remodeled his home into a two-story house, the first in the village. As the family welcomed more children, Tenzin spent 320,000 yuan (abut 47,560 U.S. dollars) in 2011 on building a cottage that had 18 pillars. In 2015, the family built their fifth house. "Five houses! So much hard work!" Tenzin's wife Choskyi Lhamo once complained. In contrast, Tashi's once grand, regal mansion stands derelict with collapsing walls. On that site, the local government plans to build free homes for poor families in the village. 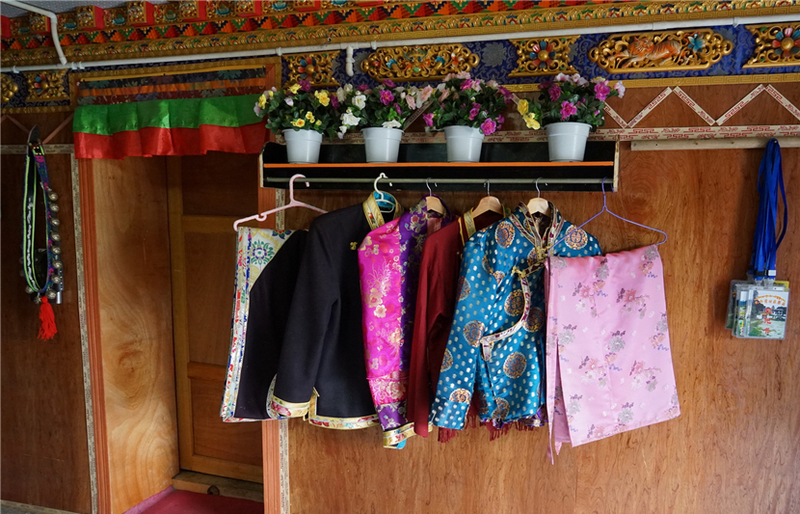 Starting with Padma Chozin, the first family member to leave the village to study medicine in Henan Province, the family now has doctors, teachers, drivers, businesspeople and civil servants. Many of the fourth generation are now living across the country pursuing higher education in subjects like IT, marketing and business administration. Lhawang died in 1988, and Changpa died in 2014 aged 95. Before she died, she always told her children that she wanted to live long so she could enjoy the happy life she was once deprived of. 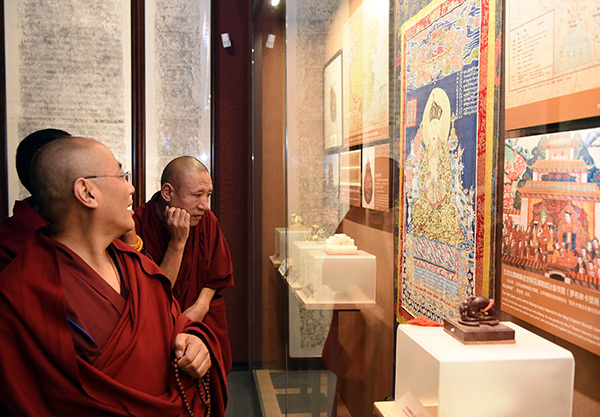 To mark the 60th anniversary of the beginning of democratic reforms in Tibet, an exhibition opened.